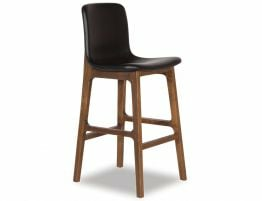 Ara Bar Stool - The lovely Walnut Stained frame and Solid Black Shell Seat is a great addition to your living. 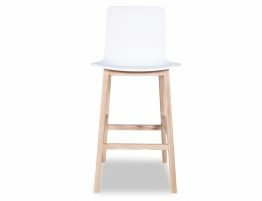 Enduring and hard wearing it is a great family piece with young children especially. 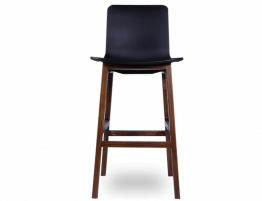 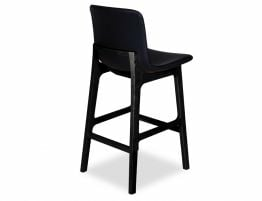 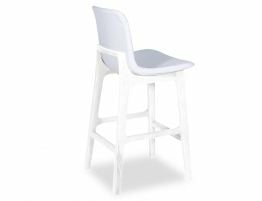 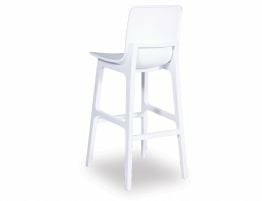 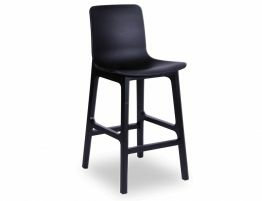 The modern Ara stool with walnut frame and black shell seat comes in 2 sizes, kitchen height and bar height.